Let’s say you’re a crack team at Palm who suddenly has nothing to do because HP decides to get out of the mobile device market. What do you do to follow up on the Treo, the Centro, WebOS and the TouchPad? You create Hiku, a pebble-sized gadget that “turns everyday grocery shopping into something modern, magical and fun” and fund it via Kickstarter. What is Hiku? Basically, it’s a barcode scanner with built-in wifi that’s intended to send your shopping list to your mobile phone so that when you are in store, you can get everything that you need. 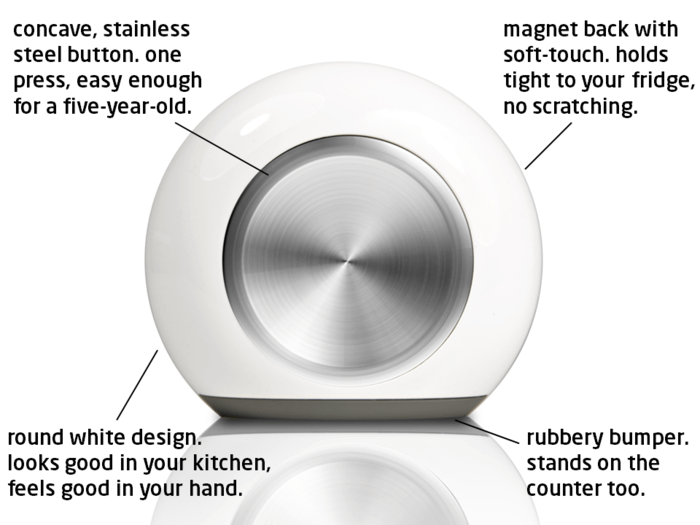 And if you don’t have a box or tin handy to scan, you can talk to Hiku and tell it what you want. Out of the box, it’s going to support iOS with Android coming along soon after launch. There’s also integration with Evernote and Remember the Milk. 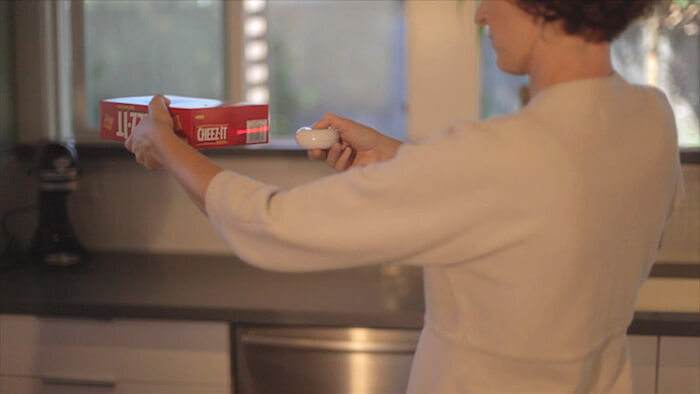 Check out some of the videos on Kickstarter or YouTube – they show what the Hiku can do and it is really cool. More advanced features include checking prices on the Net and showing where a product can be bought cheaply. One of the cleverest things is how you program your wifi settings onto the Hiku. It uses Electric Imp‘s BlinkUp technology which uses light pulses to transmit information and the light pulses are generated by your smartphone. Amazing – there’s a video of the prototype working on YouTube. I’m backing this project partly to support the ex-Palm guys, but mainly because it’s such a clever kitchen gadget. The Kickstarter funding round closes in about 2 days and they need another $24k-odd to hit the $80,000 target. $99 gets you on the list for a Hiku so if you are thinking of ordering one, get your pledge in now. The smartphone market is full of great phones running Android, iOS or Windows Phone. Regrettably none of them is running WebOS, so it was with much sadness that I decided to retire my HP Pre 3 and move on to a more current device. I tend to buy off-contract so as not to get locked in, but I don’t usually buy a top-of-the-range, just-released phone as they’re simply too expensive. With a budget of around £300, there’s plenty of choice depending on the age and features. Looking at Android phones, my main thoughts were around the Motorola Razr or one of the Xperias. But then I spotted that the Samsung Google Galaxy Nexus was beginning to be discounted with Expansys offering it for £299 and with its feature set, it’s an absolute bargain. First impressions count and on unboxing, I couldn’t believe how big the screen was. It’s huge in comparison to the Pre 3, which in turn I thought was big compared to the Palm Pre. It’s also gloriously colourful and detailed and combined with the screen size, there’s definitely a wow-factor when I show it to someone who hasn’t seen either this or a Samsung SIII before. After a couple of days, I got used to the size and started enjoying the extra screen real estate available. It’s definitely worth it. I haven’t found that many functional differences between Ice Cream Sandwich and Jelly Bean with one exception…Google Now. This runs all the time in the background, putting the smarts into the smartphone. Simply, it tries to help you run your life a little more smoothly using a set of cards which are like mini-apps. Here’s an example: if I have an upcoming appointment in my calendar and I’ve included the location of the appointment, Google Now will show me the place on a small map and it will tell me how long it will take to drive there. It will also alert me when it’s time to go. There are other cards available for public transport, flights, sports scores and I’m sure more will appear over time. Other features of note…call quality is very good and a step up from the Pre 3. I can hear people clearly and by all accounts the person on the other end can hear me well too. The camera seems fine to me, taking photos up to 5MP, tracks faces, and there is a panorama mode for taking wide shots. I’m hoping that the lens doesn’t get too easily scratched as the camera seems to be located exactly where the phone rests on a flat surface. Jelly Bean includes the Face Unlock feature which works surprisingly well but I’m not sufficiently narcissistic to want to use. You may love yourself more. On the downside…the battery life isn’t great, though it’s on a par with the Pre 3. To be fair, it’s a new phone and I tend to be doing more on the Nexus while I’m bedding it in, so I think it might end up being better than the Pre 3 once I get back to normal. I have ordered a larger battery anyway but it’s not arrived in the post yet. Another criticism is with the back cover that comes off to access the removable battery and the SIM card: it’s a bit flimsy but it is textured in the Nexus-style to make it easier to grip. I notice that there are replacement metal covers available but some come with warnings that the cover may interfere with GPS reception so I’ve not bothered. Finally, there seems to be only one speaker which is located in the bump on the lower back of the Nexus. Consequently, if the phone is put down on any kind of soft surface, the speaker easily gets blocked and can become quite quiet. I’ll always have a soft spot for Palm, WebOS and what might have been. I bought a Palm III when I was a much younger man and have stuck with them ever since but when you can get as good a phone as the Galaxy Nexus, there’s no looking back. The only features I miss from the Pre is the wireless charging and the excellent multitasking app-card metaphor. Can’t have everything. Overall, the Galaxy Nexus is an absolutely cracking phone and at £300 is a steal. Find one, try one, buy one. 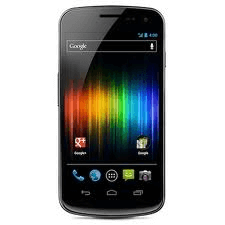 Disclosure – this Galaxy Nexus was a personal purchase and not a review unit. In an effort to span over this confounded series of tubes and reach as many mobile music listeners as we can, we’ve done the unthinkable. Android 2.3+? We got there. !!! 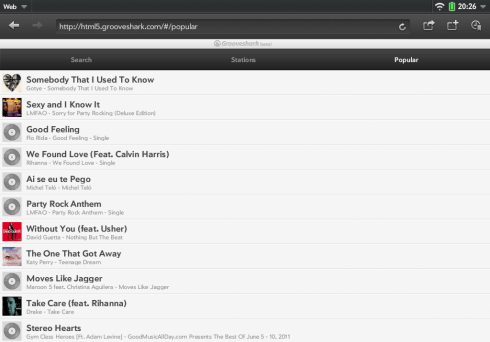 For covert opts points, try it on an html5 device not listed above and report your findings to Dr. Lovedoctor at lovedoctor@grooveshark.com for your bonus surprise. I’ve tried out on an HP TouchPad, a Pre 3 and a Google Nexus S and can confirm that it works most of the time. On occasion, it wouldn’t start playing a track and once that had happened, I had to restart the browser to fix the problem. The app is pretty simple, no fancy cover-flow effects here. This is it on the TouchPad. Tap on a track and it starts playing. There are also genre “radio” stations for a continuous stream of tracks. Overall, it’s not bad but the tracks failed to start playing too many times for my liking. Over the break, there’s been a bit of discussion by some of the big names regarding the reasons why Windows Phone 7 handsets haven’t been flying off the shelves this holiday season. Charlie Kindel started the debate with “Windows Phone is Superior; Why Hasn’t It Taken Off?” and largely faults the relationship between the OEMs, Microsoft and the carriers. MG Siegler responded with a fairly weak response largely citing the mantra of “too late and not enough apps” but as can be seen from today’s news of 50,000 apps in the Windows Phone Marketplace, the latter argument really isn’t that valid. As usual, Robert Scoble hits the nail on the head. People buy Android or iOS because it’s a safe bet and they don’t want to look stupid or uncool by buying something else. Microsoft Windows Phone 7 and RIM’s Blackberries simply don’t have the gold-plated appeal of a sure-thing. And he’s right. I was a big Palm fan and look how that turned out. I do feel stupid. After spending years waiting for Palm to move from PalmOS to WebOS and then HP promising to do big things. I bought in with a succession of Pre phones and pre-ordered a TouchPad. Maybe I shouldn’t be so shallow and have a less of an ego, because WebOS is a great operating system and even with the smaller app selection, it does 99% of what I need a phone to do. But when everyone else is, “Have you got this app and that app” on their Galaxy S IIs and iPhone 4Ss, you do feel a bit of a chump. So thanks, HP. I feel stupid. Today’s smartphones are energy-sucking devices that can rarely go for a day or two without charging. I fondly remember my Nokia 6210 that could go a business week without needing a charge, but enough of the reminiscing. If you do have a thirsty smartphone (or you get one for Christmas) and you find that the battery lets you down, you might be interested in Mugen Power Batteries, suppliers of replacement batteries for smartphones and other devices. Typically, a Mugen battery will offer an extra 10%-25% over the OEM battery of the same size. Take the battery for the HTC Wildfire S – the OEM is 1250 mAh but the Mugen version is 1500 mAh, giving an extra 22% more juice. If you really need much more power, Mugen also sells batteries so big that you need a new back cover to fit it in. For the Samsung Galaxy S II, Mugen offers a 3200 mAh battery which nearly doubles the energy of the stock battery (1650 mAh), but the battery size increases too and a new back cover is needed. If you value talk time over aesthetics, it’s the only way to go. Even Apple products are catered for, though as the iPhones et al don’t have user-replaceable batteries, the additional power has to come from an external unit. Mugen are fairly well-known if you follow any of the main smartphone forums, and there are other vendors out there, but they seem to have the widest range with a good reputation, so if you need more power for your smartphone, check them out. 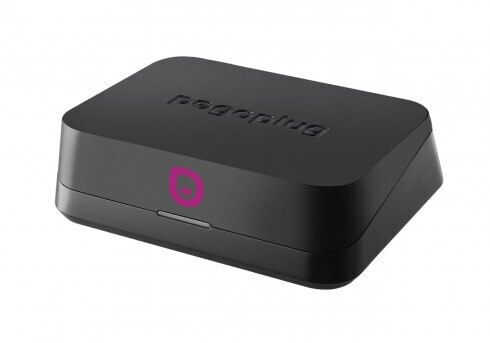 Regular readers will recall that I was quite taken with the integration of Pogoplug into the Buffalo CloudStation Duo, so I was very interested to hear that Pogoplug have released a new device, the Series 4. If you aren’t familiar with the Pogoplug device, it’s a network gadget that makes attached USB devices available across the Internet. In short, you can make your own personal cloud. 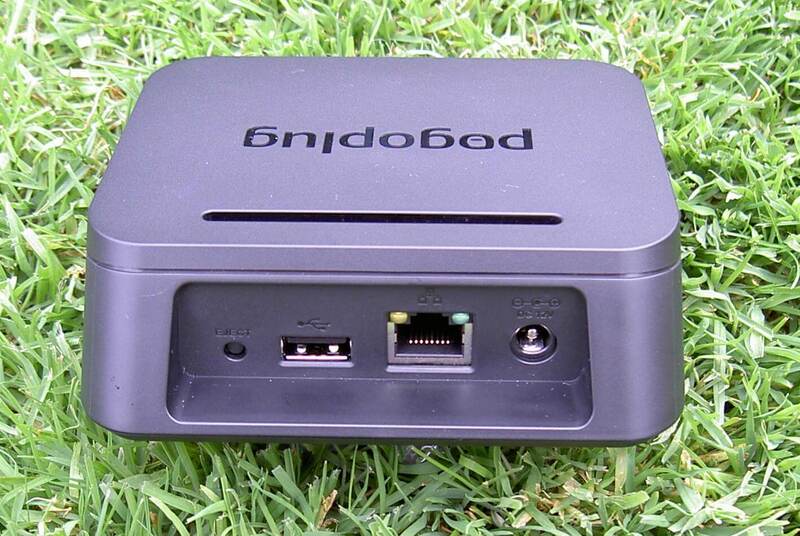 More recently, Pogoplug has released a cloud service that complements the hardware devices. 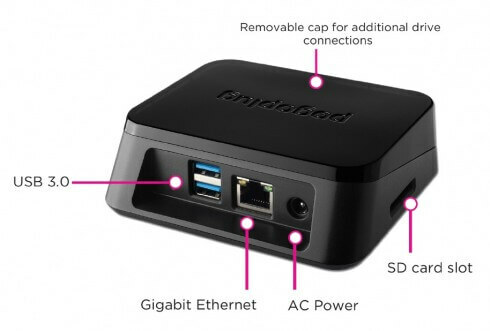 Unsurprisingly, the Pogoplug Series 4 is the 4th generation of their of their original device, and while retaining the form factor of the Pogoplug Mobile, the devices now includes four different connection types for hooking up hard drives and other media. New to the Pogoplug range is plug-and-play support for Seagate’s GoFlex external drives and other products that have adopted the new universal storage module standard (USM). There’s a gigabit Ethernet port for connecting the Series 4 to the network. Owners can make their photos and videos available to friends and family over the Internet to PCs and mobile devices such as iPhones, Android smartphones and WebOS devices. 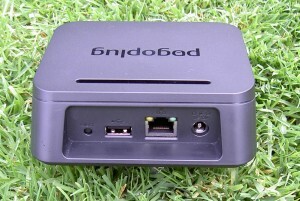 The new Series 4 is designed to be an extension of the Pogoplug Cloud service. 5GB of cloud storage is available for free and premium options for 50GB and 100GB will be offered shortly. 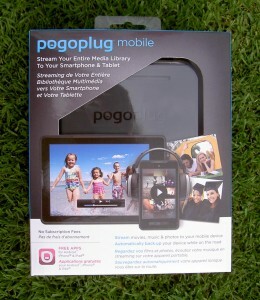 The Pogoplug Series 4 is on-sale now for an RRP of $99.99.